Nature is the newest trend in skin and hair care – it really has been for a few years now! For years, we’ve been putting toxic chemicals into our bodies that build up and make us feel tired and sick, regardless of whether we eat them or if they seep through our pores. And people are finally catching on that natural is better. Fortunately making beauty products yourself isn’t too difficult. So if you want beauty products that you know are natural and are also inexpensive, just make them yourself. Here are 5 quick and easy recipes you can make at yourself. Eating good food helps give you the right nutrients you need to look good. You can get more of these vitamins and minerals by putting the good stuff right on the skin. The following recipe creates a great face mask that provides vitamins, and improves the tone and texture of your skin. Combine a mashed carrot, mashed avocado, and a beaten egg with a half cup a few tablespoons of honey. Then wash off with cool water. We all spend way too much time and money seeking out the latest and greatest skin cream for our face. Wouldn’t it be surprising to know that you can make your own with just one or two simple ingredients? If you don’t have oily skin you can try simply rubbing pure coconut oil on your skin, and then washing any excess off afterwards with warm water. This can also be used as a makeup remover, as can olive oil. And let’s face it, we often have these things in the kitchen cupboard anyway! Mix an egg yolk with a tablespoon of castor oil and apply to hair. Let sit for about ten minutes and rinse out. You can use this every so often as a conditioning treatment for healthy shiny hair. If you like being experimental, you can try mixing other kitchen items, herbs, and natural items with eggs for healthy, shiny hair. For example, this post mentions lots of options with avocado, oil, vinegar and others. Massage into your hands and feet. Leave a few minutes to soak and then rinse off with warm water. When it comes to natural beauty products, these recipes are just the start. You can find hundreds of different combinations in natural beauty books, magazines, and on the internet. Or you can go to your kitchen cabinet and make your own special creations. 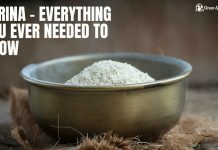 I’ve written about many different recipe ideas from making your own egg mask to coconut and sugar exfoliation cream for the shower! The natural beauty options are endless, all we have to do is open our minds to the possibilities, and stop spending way too much money on products! We are always searching for good homemade beauty recipes. Thanks so much for sharing these.